When I wrote about Parks and Recreation, what was most striking to me was how nice everyone was, that the characters on that showed seemed like actual friends. That contrasts sharply with Parks & Rec’s sister show, The Office. For a comedy, The Office is downright mean. The characters on The Office, for the most part, do not like each other. At all. Though they do grow closer as the show progresses, for the most part the feeling is one of forced toleration, with little affection. Other than some specific relationships, if these characters could never see each other again, they would be perfectly happy. Aside from that, the show puts the characters in awful situations and forces the viewer to watch every uncomfortable, painful moment. That meanness is what makes the show great. 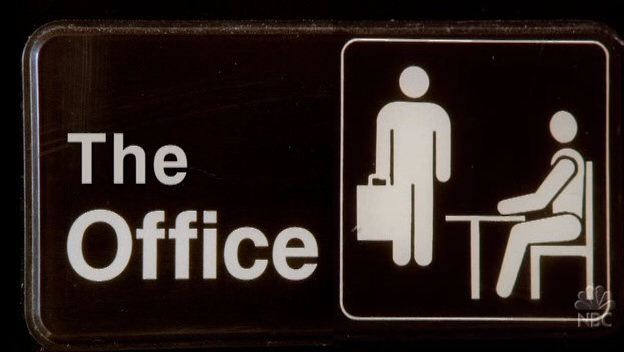 One of the big changes from the US version of The Office compared to the British originator is that is it a nicer take. After The Office stopped aping the original and found its own tone, it really came into its own. It became a more pleasant, hopeful experience but didn’t abandon its cruelty entirely. The bulk of the shows meanness was directed at boss Michael. He was also the source of a lot of the meanness. Even after they sanded off many of his worse qualities, he is still socially awkward and deluded. He is just more pathetic than cruel. His complete lack of self-awareness made many seemingly ordinary situations exceedingly uncomfortable. Especially when it came to his relationship with Jan. It was such a terrible pairing, one deluded man desperate for love and one woman going through some kind of midlife crisis. At first it was just Michael’s overestimating the meaningfulness of their relationship. He thought it was true love; she viewed it as a cathartic, ill-advised fling. As the show went on, events forced Jan and Michael closer together, right up until we got the two of the meanest episodes on the show. The first is the House Party. Michael was constantly inviting Jim and Pam to have dinner with him and Jan. Jim, wisely, constantly put him off. Until Michael forced his hand, leading to the worst dinner party ever. While Jim and Pam plot an escape, Michael and Jan argue and display their wholly dysfunctional relationship. Jan has two of the bedrooms converted into an office and a workspace. Michael sleeps on a bench at the foot of the bed. It is just so awful. While Michael brought this on himself by forcing the issue, both with Jim about the party and Jan with the relationship, you still feel bad for how terrible the whole situation is. The situation is not helped by Dwight crashing the party with his former babysitter as a date. Then there is The Deposition. There Michael is called to testify in Jan’s wrongful termination suit against Dunder Mifflin. There he is forced to sit and watch as the woman he loves and the company he loves both show how little they think of him. Jan reads his diary for the record; they bring up his employee evaluations. For a large portion of the episode the viewer just watches as all that Michael loves is torn down around him. The true nadir of cruelty in The Office is the episode Scott’s Tots. Long ago, Michael promised to pay for college for a class of students if they graduated high school. Now, on the eve of their graduation, he has to go back to the school and tell them that he doesn’t have the money to pay for anything. Instead of just coming out and saying it, it puts it off as long as possible. The situation gets steadily more uncomfortable as Michael watches them celebrate the contribution that he knows he can’t make. It is a perfectly miserable half hour. The show does dole that cruelty out in smaller doses as the show goes on, but it is almost always forcing the characters to face their worst fears. Upright, conservative Christian Angela ends up married to a closeted gay man. Ryan makes a meteoric rise in the company, but makes horrifically bad choices. The show does bog down in the later seasons, with Season 7 rushing around to deal with the impending loss Michael and Season 8 dealing with the albatross of Robert California. Really, I love James Spader, but Robert California is a terrible character that takes up too much screen time. But Season 9 rights the ship, so the show goes out on a high note. It largely brings back the tone of Seasons 2 & 3. While by and large the characters are finally allowed to become friends, there is still a lot of genuinely earned drama. Jim and Pan experience relationship troubles when he helps start a business in Philadelphia. Unlike when most TV shows put strain on a couple, this feels truly earned. Jim and Pan argue while staying true to the characters as they had been established for the previous 8 seasons. It is great TV. It also has a maturing Dwight and the disintegration of Angela’s entire life, two solid B plots. The only fly in the ointment is Andy Bernard. Andy went out on a high note in Season 8, having been broken down as Regional Manager after risking everything for his love Erin before saving the company, and his job, by going to previous CFO David Wallace and getting him to buy Dunder Mifflin. Season 9 throws all of that out the window. Andy quickly abandons the job and girl he fought for the previous season. (I know Ed Helms had to leave to film a movie, but they could have written him out in a better way) He comes back arrogant and vindictive. Andy was always a malleable character, but never this awful. It is hard to watch a character that had been largely sympathetic turn into a villain. It is that cruelty that made the show, but this time the situations feel a little more forced than usual. The cruelty that had been the shows hallmark makes Finale so memorable, because it lacks it entirely. It is pure saccharine, right down to Erin finding her birth parents. The show always had those moments, the times when joy would surpass the mundane drudgery that makes up the bulk of the show. The best example is the last bit of season 3, when Pam cries to the camera congratulating Jim on his probably promotion only to have him walk in and ask her out on a date. While the cruelty made the show funny, those moments made it memorable. Finale tries to make a 50 minute episode that is just those moments. It nearly succeeds. Suddenly the cast becomes the viewers; their sadness at leaving the office is our sadness at saying goodbye to The Office. It also has one of the best lines in the series with Andy’s “I wish there was a way to know you’re in the good old days before you’ve actually left them.” That last episode is about saying goodbye to the good old days, and it leaves you feeling satisfied in a way that few shows do. While The Office was never as nice as something like Parks & Rec, in the end it turns out it wasn’t that cruel either.